I've recently reflected on how female focused my blog is and, in a bid to branch out and attract more male readers to my blog, I plan to start to include more posts for the cruelty free men of the world starting right here with this round up of some of the best cruelty free and vegan cosmetics around for men. My husband is vegetarian, although mostly vegan, and since I started to lead a cruelty free lifestyle he thankfully has tried to follow suit. I've steered him away from some of his old favourite brands and I encourage him to shop more ethically which he is happy to do. I also occasionally shop for him and he's never complained about anything i've bought for him in the past. 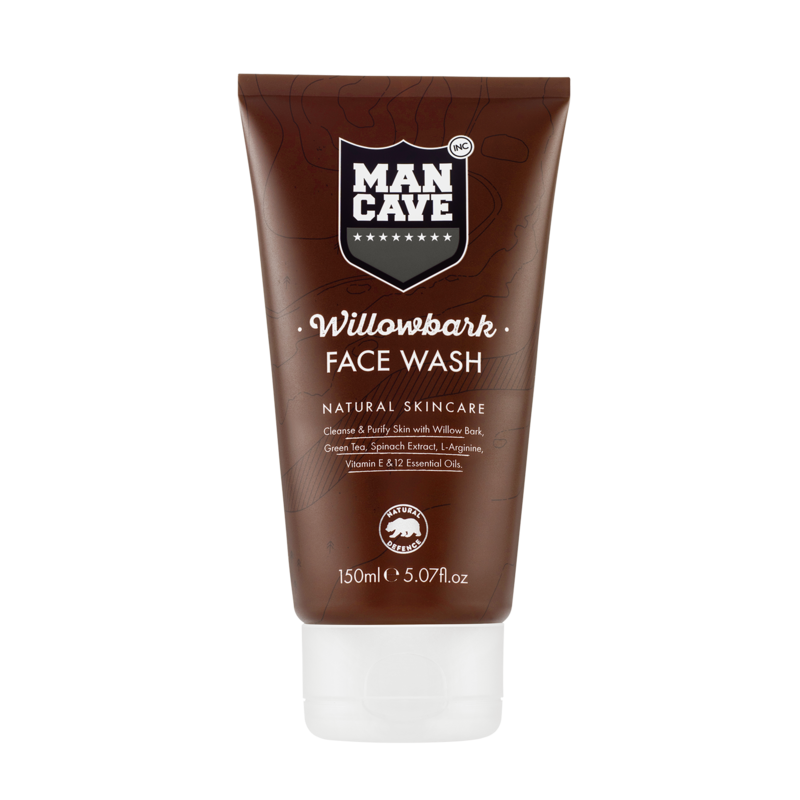 I therefore feel that I do have some insight into the world of cruelty free and vegan friendly male grooming products and what is available in the shops. If you're a man looking to make a switch to cruelty free and vegan cosmetics, or a woman looking to buy for your man, then look no further than Superdrug. Not only is it my go to shop for all my basic toiletries, it's also now my husbands too. The vast majority of products my husband uses are Superdrug own brand including his deodorant, moisturiser and 2 in 1 shampoo. He also really likes the B. 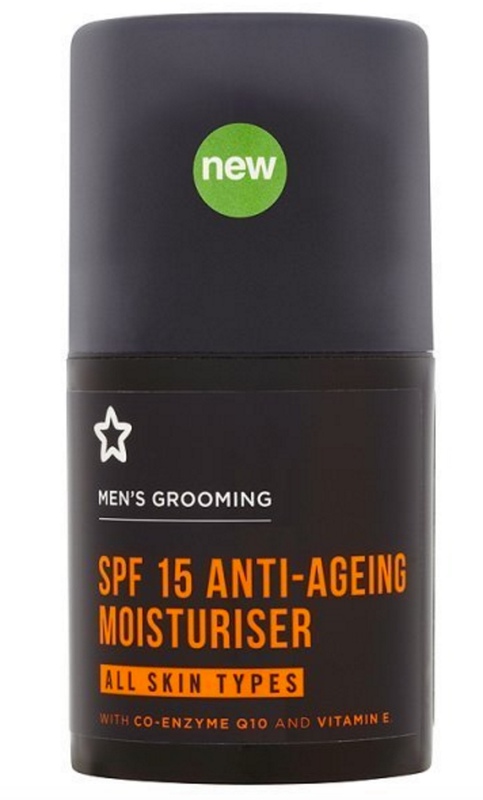 Men range within Superdrug and i'll often add these products into his stocking at Christmas. *The majority of Superdrug own brand products are vegan friendly and clearly labelled. Bulldog is another firm favourite with the man of my house and he often receives their products as a present as they tend to make some pretty decent gift bags and tins. 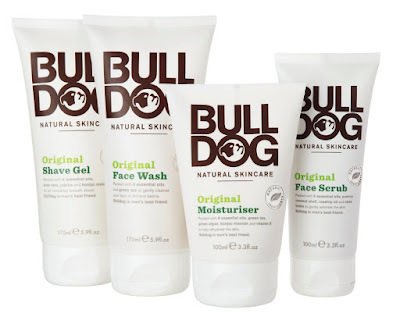 All of their products are cruelty free and vegan friendly and you can buy online or in store at Boots. My husband finds it difficult going into a Lush shop without turning into some kind of over excited kid in a sweet shop! And it's not because he is obsessed with the products like me, instead he finds the whole store fascinating and often refers to the soaps as 'cheese'. He can't resist touching everything on display! 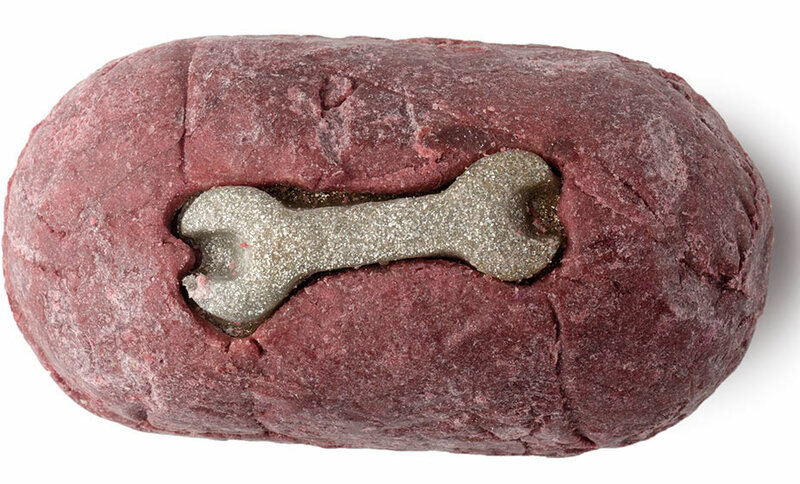 All of that aside, he does actually really like some of their products especially their Mechanic soap bar which is perfect for any men who get their hands dirty at work or tinkering with cars and bikes. They also sell shaving creams, hair styling products, shower gels and of course their infamous bath bombs. I couldn't imagine my husband ever buying himself a bath bomb but whenever I am using one myself he can't wait to jump into the tub after me and experience some of the good stuff for himself! Another great high street option is The Body Shop who have a whole range 'For Men'. There's everything from shaving, skincare, fragrances and deodorants. The Body Shop are however owned by L'oreal, a non cruelty free company, but they do still remain a cruelty free brand so it will depend on how you feel about parent companies as to whether or not you would be happy to buy from them. Faith In Nature have always been one of my own personal favourite vegan and cruelty free brands and I was really pleased when I discovered their own 'For Men' range of products. 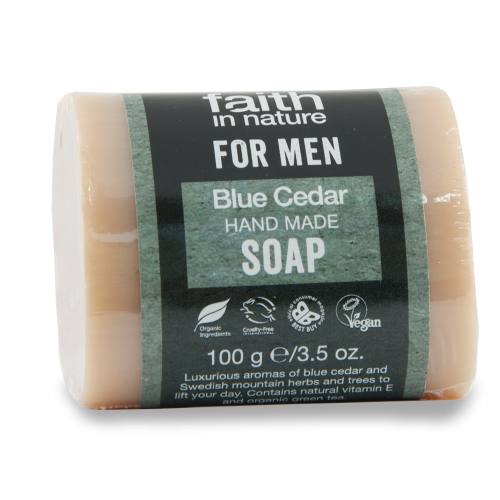 If you or your man are keen to use more natural and organic cosmetics then this is the brand for you! My husbands all time favourite shower gel would have to be Original Source's Mint & Tea Tree. I personally find the cold tingle a little bit uncomfortable but for some reason he loves it! There are plenty of other fragrances to choose from and of course they're not just for men but this brand is a hit with my man. All of Marks & Spencers own brand toiletries and beauty products are cruelty free and they have a pretty decent men's collection too, notably the Autograph and Woodspice range. The Co-Op offer some great every day essential toiletries for men and their labelling of cruelty free and vegan products is excellent. They are also a great option for affordability! Man Cave is quite a new one to me but I have seen them on sale at Holland & Barrett and Boots. They're a cruelty free brand who specialise in natural skincare products. I really like the look and sound of their products so my husband and Dad can expect to receive some of their products soon! 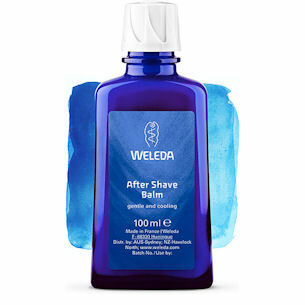 Weleda are a cruelty free brand who use natural and plant based ingredients to create high quality cosmetics and holistic healthcare. 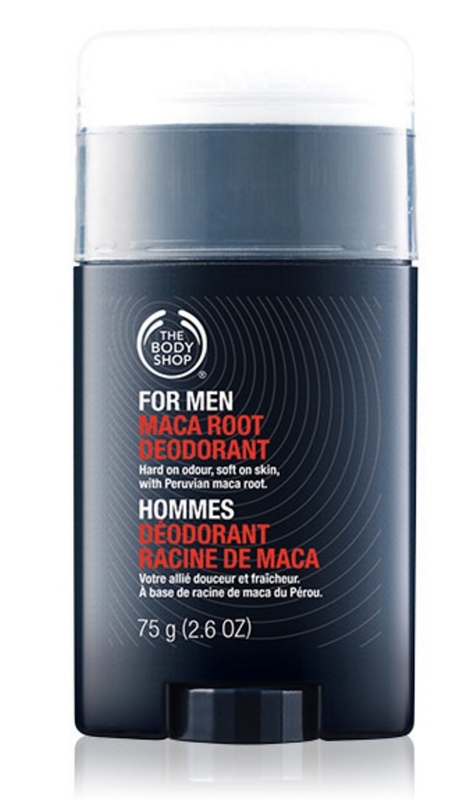 I recently noticed that they have a few products devoted to men and, although my husband has never tried any of their products in the past, I'm pretty sure he'd love them as much as I do. 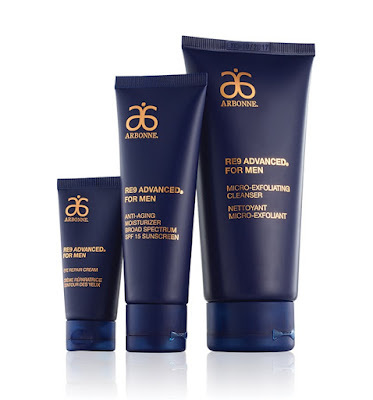 Arbonne are a completely vegan and cruelty free brand and if you're a man looking for a high end quality skincare range then the RE9 Advanced range could be for you. 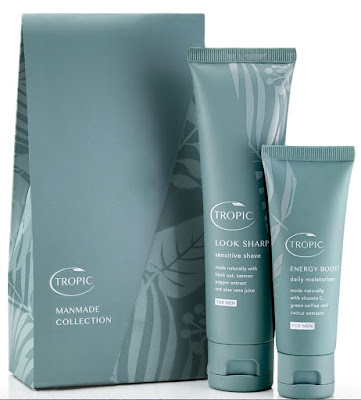 Tropic are another favourite cruelty free and vegan skincare brand of my own and it's great to see that they offer this Manmade Collection specifically for men. This would also make a great gift for the man in your life, or just for yourself! If you're a man reading this then I hope you now feel better equipped to make more ethical choices when it comes to buying cosmetics. If you're a woman reading this then hopefully it's given you some ideas for what to buy the men in your life going forward. There's certainly a great deal of choice out there and a simple switch to cruelty free products could save animals lives and increase demand for more cruelty free cosmetics. I'd love to hear from you what your favourite cruelty free brands are so please comment below and let me and others know! I tend to use a lot of the Superdrug products because they are easily accessible. I also now subscribe to 'Harrys' for my shaving requirements. (Featured on the 'Rich Roll' podcasts. Vegan Ultra athlete)) Their razors are awesome and the foaming gel is so nice on the skin with no rashes. Coop stuff is also pretty good. Lush is brilliant but don't feel comfortable shopping in there. Thanks for this Sarah, helped me find a cruelty free roll-on deodorant.